← Paris – bon appetit! I have previously tried The Wild Rose Herbal D-tox program as well as the Master Cleanse, in an attempt to be healthy and lose weight while doing it. I must admit that I ‘attempted’ the Master Cleanse more to lose weight quickly rather than detoxify. I say ‘attempt’ because I found the water, lemon, paprika and maple syrup concoction utterly disgusting, and thus didn’t drink enough of it. Even if I had managed it, and even though some swear by the master cleanse and do it 3-4 times a year (for up to two weeks each time! ), I found it to be the most unhealthy way to be ‘healthy’. Needless to say, I managed 3 days and promptly ended it one morning with a glass of freshly squeezed orange juice. I tell you, it was like mana from the gods, orange juice has never tasted so good! 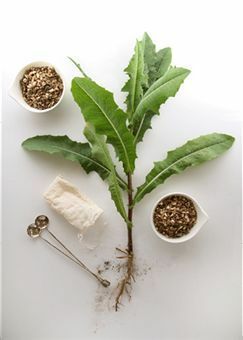 I did the Wild Rose Herbal D-tox in January 2010 with great results, this time my priorities were in the right place – I’d eaten far too much during the Christmas season and was feeling lethargic, lazy, bloated and uncomfortable. After finishing 10 days I had to stop, (simply and surprisingly because I felt I was losing too much weight), but my skin was glowing, my hair was shinier than ever, and I just felt GOOD. DW very kindly brought a kit back for me from Vancouver this winter, and I have been looking forward to it since she returned! This is a great detox program because it doesn’t involve the usual dread that you feel when you have to limit yourself – no one likes limitations, and I especially don’t like having to limit myself when it comes to food. 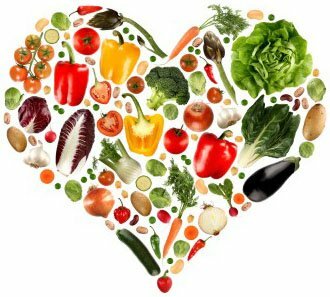 However, this program still allows you to eat many of the foods that you love, and encourages you to try new food groups as well. This detox is relatively easy as long as you are PREPARED. I prepared myself nutritionally by going to the supermarket last night and buying a whole basket of foods that I will prepare today for my breakfast, lunch and dinner. 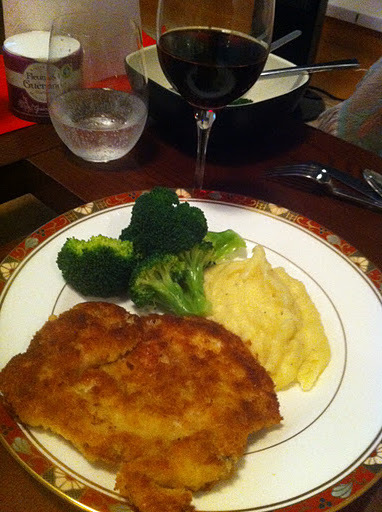 I also prepared myself mentally by cooking my ‘last supper’ – all the things that I won’t be eating for the next 12 days, with a nice glass of red wine! I just want to do a short introduction first, as it is the middle of the day on Tuesday and my lunch break is shortened by the fact that I am a tad unprepared today and will need to make and then eat my special lunch after this. 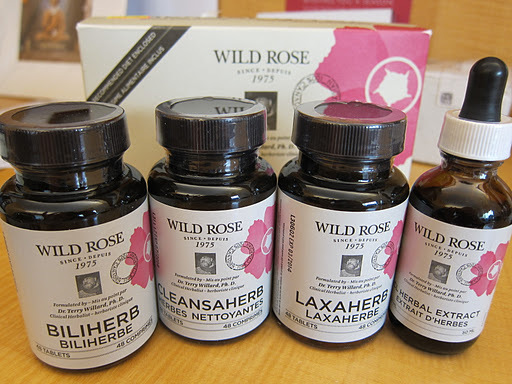 The Wild Rose Herbal D-tox program was formulated by a Dr. Terry Willard to cleanse the body of pollutants from the environment, the food we eat, as well as wastes produced from normal bodily processes. Emphasis is placed on avoiding foods that are acid-forming, that have been through a fermentation process, or contain excess amounts of yeast. 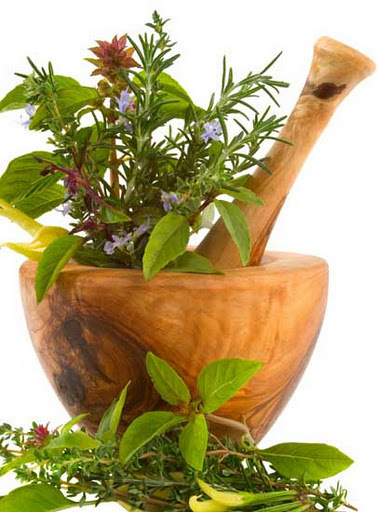 As well as following a diet where you can eat as much as you want but the choice of food is significant, the Herbal Detox also consists of four herbal supplements: 3 in tablet form and one in liquid form. 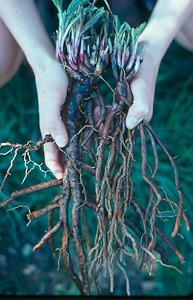 They consist of a variety of natural herbs that will cleanse as well as purge. Because they undergo a fermentation process, beer and wine are naturally not acceptable during this detox program. Technically there are alcohols you can consume, it is strongly recommended that you don’t. Really, if you’re going to detox, you might as well go the whole hog. This includes quitting smoking for the length of the detox. I decided to make another attempt to quit as one of my new years resolutions, and haven’t been smoking for 16 days. The 2 weeks of not smoking beforehand has certainly helped with the ‘dread’ – quitting food AND cigarettes at the same time would have been a bit more difficult! 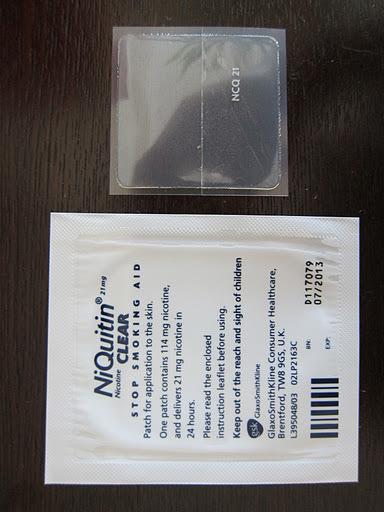 I’ve been using Niquitin Clear smoking patches. Unfortunately they aren’t available in Hong Kong, but I picked some up during my last visit to the UK, as they stick on the best and stay on all day. They do sell other brands of nicotine patches in Watsons here in Hong Kong, but I find they tend to fall off quite easily. If anyone is considering quitting, I’d be happy to pick some up for you when I go to the UK again in May! More to come later….wish me luck! 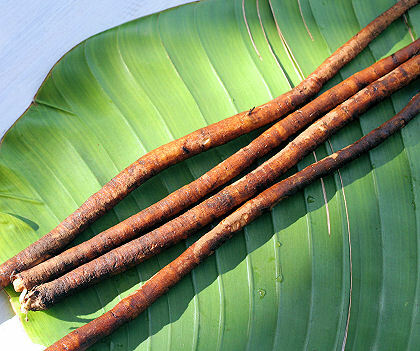 If you want to know more, check out my post on what you can and can’t eat on the Wild Rose D-tox.